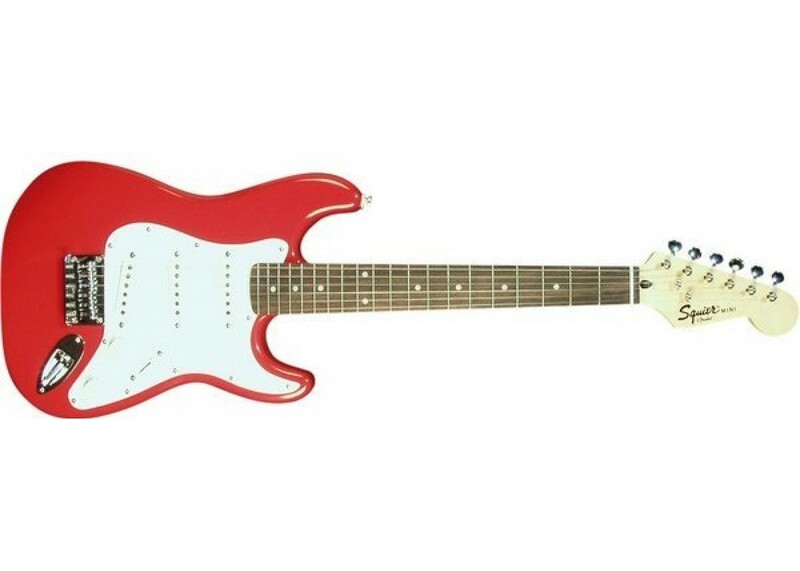 The Squier® Mini is the 3/4-size version (22.75 inches scale length) of the Squier® Bullet and makes an ideal travel guitar for players of all ages or a first guitar for kids. This is not a toy, though! 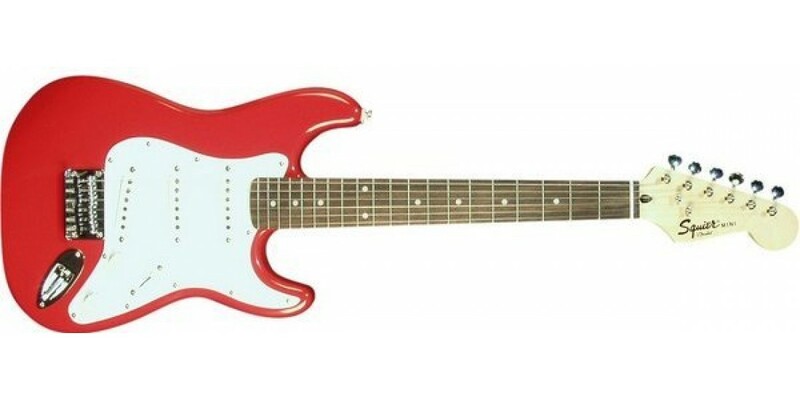 Three single-coil pickups, a fixed, non-tremolo hardtail bridge and five-way switching make the Mini sound as cool as it looks.